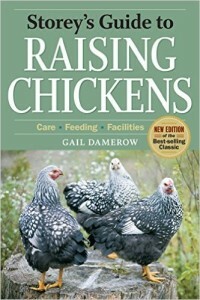 Raising chickens can be fun and profitable. Whether you are just thinking about it, or already have a flock in your backyard, it’s helpful to learn about the many benefits of keeping poultry. That way, when your friends and neighbors ask about your new hobby, you will have answers ready for them. And as you familiarize yourself with the benefits, you may learn something new for yourself. Home-laid Eggs Are Healthier. Scientific evidence suggests that battery eggs contain a higher amount of salmonella, and thus, may be harmful. There’s a consensus among chicken owners that the eggs their flocks produce are safer, since they have full control of their poultry’s diet and nutrition. Raising your own chickens ensures that your flock is getting a balanced intake of proper nutrients and vitamins critical to producing eggs safe for human consumption. You Can Save More Money from Home Produced Eggs. Having three or more chickens that constantly produce eggs saves you the trouble of buying eggs at your local grocery store. A normal hen can lay 300 eggs a year or more, provided that they are getting the proper nourishment. Increasing the number of hens can also increase the cost-effectiveness, especially if you can buy bulk poultry feed at a lower price. Chickens Make Good Pets. The hens, especially the “bantam” types, are docile in nature, not to mention that they are quite attractive! 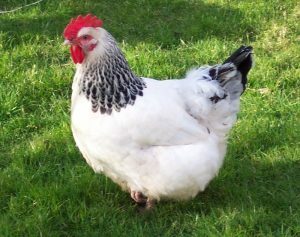 Many types of breeds are beautiful in appearance, most notably Barred Rocks, Wyandottes, Orpingtons and Cochins. You can always go to the internet for photographs of certain breeds to choose which breeds you prefer. Chicken’s plumage comes in large variety of colors and patterns, and it’s great fun to pick and choose. Chickens, while not as smart as dogs, can be very playful and friendly. If well-trained, some of them can taught some simple tricks, and you might use them to impress your friends and neighbors. Waste Products Can Be Use As Fertilizer. It has been noted in many sources that chicken waste is one of the best fertilizers around for its high amount of nutrients and nitrogen, which can help your garden produce larger, healthier vegetables. And the fact that they’re organic makes your crops free from harmful chemicals. It’s also a plus that your chickens feed on the very bugs and insects attack your crops. These are just a few of the many benefits, and you will certainly discover more on your own. If you take the initiative to learn everything you can about to raising chickens, it will help maximize your benefits, and both you and your flock will be happier for it.